Chromium is a powerful carbide stabilizing element, which can be achieved just by proportionally small concentrations a carbide formation within the ductile iron which is only difficult to remove by heat treatment. 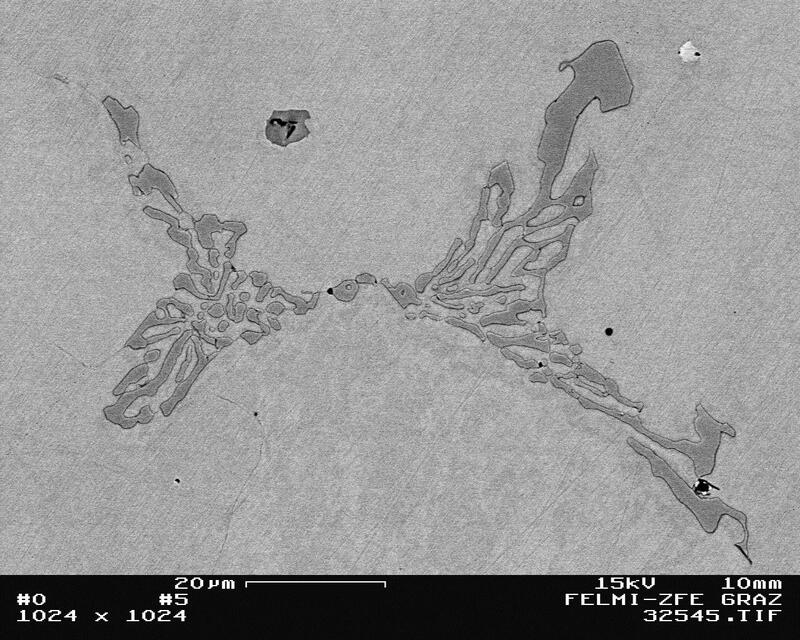 The pearlite formation is strongly promoted by chromium, so even by slow cooling (thick section castings) the ferrite formation can be inhibited. To avoid the carbide formation in the cast iron with certainty the chromium concentration should not exceed 0.05%. If carbides do appear, the annealing times for carbide decomposition are outside of efficiency. Chromium additions to ductile iron favorably affect the hardness in any case; however, toughness, elongation and tensile strength all decrease.